I stopped today to remember the many things in my life that I am thankful for. God has blessed me abundantly. He caused my life to be open wide and then poured in all these things, and really, I do not deserve anything. Although I have to admit that I do not always take the time to thank God, still I am thankful that He takes time to notice me. I'm surely not worthy of any good gift, much less any perfect gift which I have received. I am thankful. I remember as a child the wonderful gatherings that took place at the home of my grandparents, when all of my relatives would gather in for a wonderful time of fellowship and feasting. I miss those days a lot. The men folk would gather in the living room and the kids would be in the floor or off in another room playing. The women would be in the kitchen helping to prepare the meal, and, oh the aroma of the turkey sitting on the table ready to be eaten! The green beans and corn cooking on the stove. The pumpkin pie cooling off on the dessert table. The sweet smell of homemade bread coming from the oven. I remember the great anticipation that would sweep over me as I waited for someone to say, COME AND GET IT! I can vividly recall the joy, the laughter and all of the million other precious moments that was always present inside that home at 601 Hopkins Street. Now that some of the relatives are gone, I realize just how precious those times were. I know now that it really was more about the fellowship than the food. Gosh, did I just type that? I have to stop here and admit that I have always had a really nice, beautiful obsession with DUMPLINGS! Legend has it when I was 2-years-old, there was a huge feast at the radio station. While waiting for everyone to arrive, I went AWOL. They found me in Studio B, where a long table sat holding this tremendous feast. I was sitting there, all alone, in front of a big bowl of DUMPLINGS! with a spoon in one hand and a fork in the other. Allegedly, I repeated that same ritual at many other family gatherings, and I am often reminded of those early days as a child when my one and only purpose for showing up at Thanksgiving and Christmas dinners was for the DUMPLINGS! Ah, who am I kidding....I'm still that way. I still can be found at the table, before anyone else sits down, with a spoon in one hand and a fork in another. Okay, maybe not really, but what a nice thought! Just typing this makes me crave them. The Thanksgiving Day tradition that I remember growing up ended when my grandparents passed away. Whenever I pass by the old homeplace, it always causes me to reflect back on those family gatherings. I would love to be able to go back there just one more time to see their faces, to laugh with them once again and to hug them all. I come from a Christian family, and someone always gave thanks before every meal, and on Thanksgiving Day, we were ever mindful of to give thanks to the good Lord for all that he had given us. We always knew what Thanksgiving was about. But today, as I look around at everything going on in our nation, I can't help but wonder if the true meaning of Thanksgiving has gotten lost. 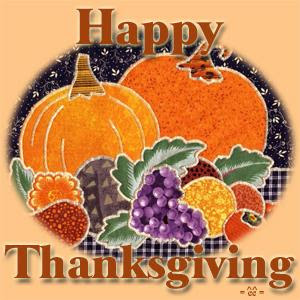 The first Thanksgiving was the Pilgrims giving thanks to God for the blessing of a successful harvest, and then sharing their blessing with others; a symbol of gratitude, generosity, fellowship and more. Where have we gotten to today? Is Thanksgiving Day just a day off from work, or a time to eat? Is it more about an After Thanksgiving Day Sale rather than spending time with loved ones? All of us have so much to be thankful for, if for nothing but the gift of life. On January 1, 1795, President George Washington proclaimed in his famed National Thanksgiving Proclamation that, "…our duty as a people, with devout reverence and affectionate gratitude to acknowledge our many and great obligations to Almighty God, and to implore Him to continue and confirm the blessings we experienced…"
10) to God for watching over my children when the are away from me. I want to be a vessel of hope for others. That is what I would like for God to allow me to be. After suffering heart failure a few years ago, I found myself unable to work, and thus, not being able financially to do things for my children. While I was knee-deep in self-pity, God laid it on my heart to help others. And, that is what I did. God had already given me the medium (radio), and then he helped me to see the need. And, then he brought together a network of local people who likewise have a desire to help others. Last year, Cristmas at Home distributed food to over 400 families and new toys to over 200 children. Occasionally I get to hear from someone on the receiving end of the program, like a recent e-mail from a mother who requested help for her daughter because her husband has been ill and unable to provide for the family. Making sure that little girl has a merry Christmas is worth every extra minute of time that's put into this project beyond normal work hours. It's what Christmas is really about. The other day I ran across a beautiful old song by the late Red Foley, released August 8, 1958 on Decca. It is called, "If I Can Help Somebody," written in 1945 by Alma Bazel Androzzo. The words are beautiful and it describes how I want to live, and how I want to be remembered. I hope you will click on the link below to see and hear Foley singing this magnificent song. This Thanksgiving Day holiday, we will be gathered around my mom, who is facing serious surgery this week. Please pray for her and her family. Sometime during the war, Ransom's father, Johnson Jones, was severely attacked and left in bad mental condition. The first thing Ransom did when he was freed from prison and discharged in July of 1865 was to go home to find the persons who had waylaid his father. It is not written specifically how Ransom did it, but he was said to have 'settled the score.' Whatever happened, Ransom spent the rest of his life moving from one place to another. In the fall of 1865, he moved to Albany, Kentucky. That is where he met his future wife, Susan. Her great uncle, Jesse Smith, had laid the floor in Clear Fork Baptist Church's first meeting house back in 1818. Ransom 33, and Susan, 17, were married in August of 1868. Over the next 52 years, they lived in Illinois, Missouri, Oklahoma, Texas, Arkansas and Colorado. They crossed the Cherokee Nation and lived in indian territory, which was known as a haven for people trying to escape their pasts. On February 7, 1920, Ransom Marion Jones died near Chelsea, Oklahoma at the age of 84 years, 3 months and 17 days. Susan lived until 1928. ”I was captured in the rear of Atlanta on the Stoneman raid in the summer of 1864, and taken to Andersonville, GA and kept there about four months. We were then sent 8,000 Federal prisoners to Charleston, SC and placed in front of the Federal guns bombarding the city and kept about 16 days. We were sent to the Florence, SC stockade and kept some three months and then sent to Goldsboro, NC. This was in February 1865. We stayed in this place until the fourth of March when we were sent to our lines at Wilmington, NC for exchange. I was sent from Wilmington to Baltimore, MD and received a furlough for thirty days and an extended thirty days at the end of which time I reported to my regiment at Nashville, TN and stayed with it until I was mustered out. At Goldsborough we were camped out in a pine woods, without tents, blankets or adequate covering of any kind, barefooted and pants off up to my knees and there came a cold sleety spell of weather. We started from where we were in the woods on the road to Goldsborough on a cold night and although it was only little more than a mile to Goldsborough I was so weak from exposure and starvation that I had to crawl most of the distance, and in doing so got my feet and legs badly frozen. I remembered the creed alright. I was my high school's Future Farmers of America creed contest champion for 1973-1974. I don't remember how many students competed in the contest, but it came down to my friend, Kenneth Hestand, and myself. 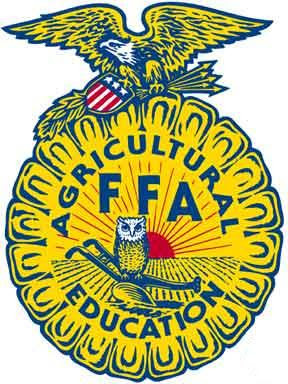 FFA members in the upper classes served as judges and they could not make up their mind, so I had to recite the pledge like four times. Nervousness had turned into pressure, which had turned into anxiety and by the fourth round, I didn't care if I won or not, and began encouraging Kenneth. Well, I ended up winning the contest, but looking back on it, it really wasn't that big of a deal for me, and I should have recognized it then. I only competed to please the teacher. One of the first activities of new FFA members was to memorize the creed. I remember learning it. Little did I know at the time that I would end up in such an ordeal as having to recite it so many times. My teacher had encouraged me because of my broadcasting heritage. I had grown up in radio. The FFA Creed was written by E.M. Tiffany and adopted at the 3rd National Convention of the FFA just after the turn of the 20th century. The short five paragraph pledge has transformed many a shaking, nervous freshman into a confident and articulate FFA member. Me, I was only in the Future Farmers of America for one year. For what its worth, I remember the shaking and being nervous part, but by the time the fourth round came, it had become pure aggravation. I recited the creed so much that one day, I could have probably spoke it backwards. I believe in the future of farming, with a faith born not of words but of deeds. Achievements won by the present and past generations of agriculturists; in the promise of better days through better ways, even as the better things we now enjoy have come to us from the struggles of former years. I believe that to live and work on a good farm, or to be engaged in other agricultural pursuit, is pleasant as well as challenging; for I know the joys and discomforts of agricultural life and hold an inborn fondness for those associations which, even in hours of discouragement, I cannot deny. I believe in leadership from ourselves and respect from others. I believe in my own ability to work efficiently and think clearly, with such knowledge and skill as I can secure, and in the ability of progressive agriculturists to serve our own and the public interest in producing and marketing the product of our toil. I believe in less dependence on begging and more power in bargaining; in the life abundant and enough honest wealth to help make it so--for others as well as myself; in less need for charity and more of it when needed; in being happy myself and playing square with those whose happiness depends upon me. I believe that rural america can and will hold true to the best traditions of our national life and that I can exert an influence in my home and community which will stand solid for my part in that inspiring task. I am disappointed by the Federal Communications Commission's recent decision to open the television "white spaces" - the frequencies in between television stations - for use by unlicensed, mobile Internet devices. It is reported that the decision relies on unproven, unreliable technology to ensure that these devices do not interfere with wireless microphones. I see the potential of these new devices to bring broadband Internet access to millions of Americans. Yet, the Commission has opened the door to these devices prior to proving that they will not adversely affect the wireless microphones that Broadway theaters, symphony performances, live concerts and others depend on to deliver the highest-quality audience experience. I hope that when the order is finally reviewed and the rules for manufacturing "white space" devices are written, the needs of wireless microphone users are taken into serious consideration. "If my people, which are called by my name, shall humble themselves, and pray, and seek my face, and turn from their wicked ways; then will I hear from heaven, and will forgive their sin, and will heal their land." 2 Chronicles 7:14. How many times over the past several weeks, months or longer have you heard someone quote that Bible verse, or seen it, or read it somewhere? I can say I have heard it repeatedly for a while now. Even in my own Church, my Pastor has quoted it quite often lately. As I've already said, Tuesday's election will not fix America's problems. Chuck Colson, who was chief counsel for President Richard Nixon from 1969 to 1973 and who now runs a prison ministry, said "As a country, we face many challenges that neither the President nor any government on earth will have the power to overcome without divine aid. No matter who you voted for in Tuesday's election, now is a good time to remember the words of the apostle Paul: "I exhort therefore, that, first of all, supplications, prayers, intercessions, and giving of thanks, be made for all men; For kings, and for all that are in authority; that we may lead a quiet and peaceable life in all godliness and honesty. For this is good and acceptable in the sight of God our Saviour;" (1 Timothy 2:1-3). How did America come to reach the point it is at now? 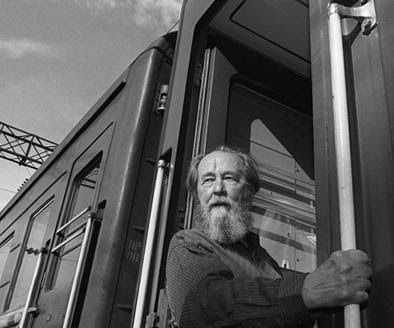 After the Russian revolution, novelist, historian and Nobel prize winner Alexandr Solzhenitsyn said, “I recall hearing a number of older people offer the following explanation for the great disasters that had befallen Russia: Men have forgotten God; that's why all this has happened.” Has America forgotten God? Our country was founded on the belief that man is created in the image of God. Without knowing that, our founders never would have recognized the unalienable rights to life, liberty, and the pursuit of happiness. Benjamin Franklin, when he stood before the Constitutional Convention to call on the assembly to unite in prayer, said: "To that kind Providence we owe this happy opportunity of consulting in peace on the means of establishing our future national felicity. And have we now forgotten that powerful Friend? Or do we imagine we no longer need His assistance? I have lived . . . a long time, and the longer I live, the more convincing proofs I see of this truth—that God Governs in the affairs of men. And if a sparrow cannot fall to the ground without His notice, is it probable that an empire can rise without His aid? 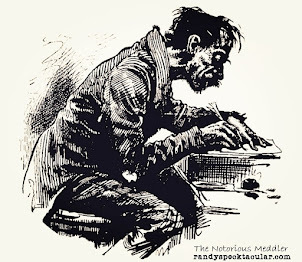 We have been assured, sir, in the Sacred Writings, that “except the Lord build the house, they labor in vain that build it.” I firmly believe this; and I also believe that without His concurring aid we shall succeed in this political building no better than the builders of Babel." As my Pastor said, "We, ourselves, are responsible for the shape America is in. Instead of worshiping God, we’ve worshipped false idols." He is right. We’ve put our own appetites over our duties to God and neighbor. During Church tonight, I was thinking, "Just because the election is over, doesn't mean that Christians are supposed to stop praying, or turn a blind eye to what is going on in our country." Like Colson said, this is a time to repent and to pray more. It’s a time for Christians to lead, encourage and minister to a faltering country in a faltering economy. This is a time to hunger for God. 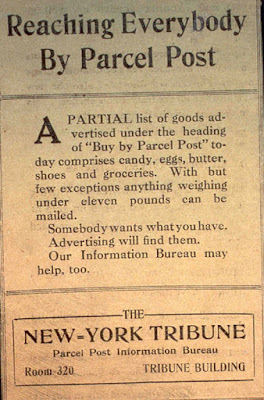 It was a Saturday, September 12, 1931. 400 people had gathered on the Conner farm on Indian Creek, just south of the Cumberland River, or in present-day terms, north of Grider Hill Dock, to watch a baseball game between Indian Creek and Creelsboro. Indian Creek was scheduled to play a black team from Burkesville, but the team had cancelled. So, the Creelsboro team was asked to play and the game was on. At one point in the game, John Hugh (Monk) Oliver fouled the only ball they had to play with over in an adjoining field. While someone went to retrieve the ball, the shooting started. Down through the years, different stories have been told as to what happened, but here is the real story as told by three members of the Creelsboro team: Oliver (the batter), Carlos Mann (the third base coach), and Kermit Mann (who was on third base). George Elmore was in the crowd on the third base side, near the backstop. While the foul ball was being retrieved, he came out of the crowd and started walking toward home plate. Constable Leo Mann, who was watching the game from just beyond the first base side, came onto the field and tried to arrest Elmore. Mann drew his gun, and the two men began to wrestle over it. 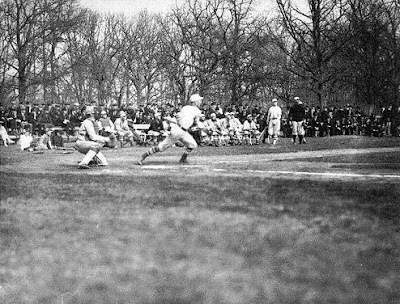 As they moved toward first base, Elmore's buddy, Jasper Hadley, who had been watching the game from just beyond third base, came across the infield, drew his gun, and shot Leo Mann. He fired a second shot that accidentally struck Elmore. Over by first base, Bill Mann came running out of the crowd yelling at Hadley to stop. He drew a gun and shot at him, but the gun jammed. A second shot struck Hadley, but not before Hadley had fired at him, striking Bill Mann in the neck. Jasper Hadley walked over to the third base area, handed his pistol to Porter Conner, told him he thought he killed Elmore then fell to the ground dead. Bill Mann walked up on a bank behind first base, where he dropped dead. George Elmore was taken to Dr. Ballou's office at Rowena, where he died that evening. Leo Mann was taken to Dr. McClendon's office in Russell Springs, where he died the next evening. The entire episode lasted only one to two minutes. Four men who were related either by blood or marriage and who had grown up in the Creelsboro-Manntown area, were killed and only four, possibly five, shots had been fired. No one else, including the ballplayers, was involved. Sometimes we learn them the hard way. Sometimes we learn them at the right moment when it really matters. Such is the case with this story. Last year, Elijah auditioned for a part in a Missoula Children's Theatre musical production but was turned down. He was so heart-broken. The theatre company came back to town yesterday. Elijah wanted to audition again. Although my mind raced back to last school year, I did not stand in his way. I am always telling my children to never say never, and to always look for something positive in everything. Elijah is naturally funny. He keeps me laughing. Sometimes he doesn't even know he is being funny. Like last Sunday night, when Bro. Bob let some of the young boys, including J.D. and Elijah, take up the offering at Church. It was their very first time. When he was finished, Elijah sat down beside me, leaned over and said, "166 dad!" On the way to Monday nights audition, I told Elijah to just be himself. What I did not know, until later, was that he auditioned to be a director's helper. Because of what happened last year, he thought he would have a better chance of being accepted as a director's helper, rather than an acting role. Unfortunately, four other kids were also trying out for a director's helper job. When the directors helper slots were announced, Elijah's name was not called. He was devastated and trying hard not to show it. But one of his buddies saw the look on his face and asked him if he was okay. Just as he was about to break down, one of the directors announced to him that his audition was so good, they wanted him to be more than a directors helper. 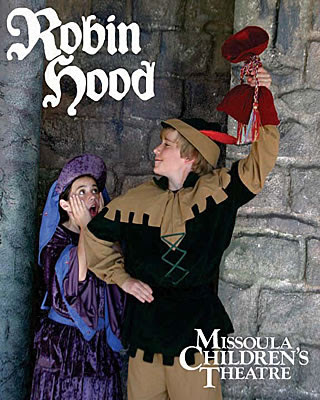 The Missoula Children's Theatre will present Robin Hood Friday night at 7:00 p.m. at the Learning Center. You are invited to attend. When you read the program notes, be sure to notice that the role of the Sheriff of Nottingham will be played by my son, Elijah Speck. He is on cloud nine. This is going to be a great week. The Missoula Children's Theatre provides a week-long residency "starring" 50-60 of local students in a full-scale musical. MCT has been touring for more than 30 years. Annually, MCT visits nearly 1,200 communities in all 50 states, 4 Canadian Provinces and overseas. The mission is the development of lifeskills in children through participation in the performing arts. Creativity, social skills, goal achievement, communication skills and self-esteem are all characteristics that are attained through participation in this unique and educational project.